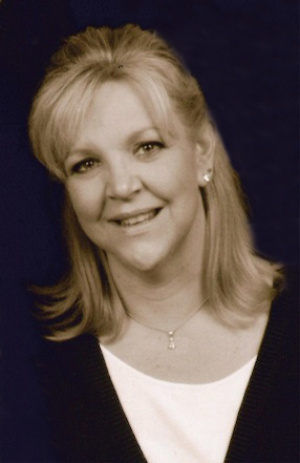 Kimberly L. (Dougherty) Kosky, 58, of Lititz passed away unexpectedly of natural causes on Thanksgiving Eve. She had been employed by Marlin Broadcasting Inc., Hartford, CT; ABB Combustion Engineering, Windsor, CT; Fulton Financial Corp., Lancaster; and most recently by Brinks Inc., Lancaster. She was the daughter of James W. and the late Dawn L. Dougherty, Lancaster, and Linda A. Stehman, Lititz. Kim is survived by her daughter Bethany E. Jenks, husband, Michael, Lititz; son Jared C. Kosky, wife Hanna, Simsbury, CT; and son James L. Dougherty, Lititz. She enjoyed spending time with her three grandchildren, J.J. and Jackson Kosky, Simsbury, CT, and Sophia Jenks, Lititz. She also leaves three siblings, Stephen W. Dougherty, wife Mary Jane, East Petersburg; William L. Dougherty, wife Tina, Mt. Gretna; and Denise E. Hostetter, husband Todd, Lancaster. She was a graduate of Windsor (Connecticut) High School and attended Central Connecticut State University. Kim was a huge sports fan, often attending NASCAR races and routing for the New York Yankees and the Oakland Raiders in addition to attending local sporting events of her granddaughter and her nephews. She also loved visiting her best friends in Pittsburgh, Girl’s Nights & weekends with the Dougherty ladies and baking for family and friends. She was a member of the Church of the Apostles United Church of Christ, Lancaster, and her memorial services will be conducted by Rev. Kathryn L. Kuhn on Monday, December 3rd at 11:00am at the Debord-Snyder Funeral Home, 141 E. Orange Street, Lancaster, PA. The family will receive guests from 9:30am until the time of service. In lieu of flowers, contributions may be made in Kim’s memory to the Fisher House Foundation (an organization that builds comfort homes where military and veteran’s families can stay free of charge while a loved one is in the hospital), 12300 Twinbrook Pkwy, Suite 410 Rockville, MD 20852. Print donation forms or donate online at https://fisherhouse.org/ways-to-give/. From the day I met you way back at ABB-CE in MO88 we had fun, good times and laughter. I will always remember the run to your house for lunch and the many non-smoking smoke breaks I took with you! The concerts and other events that are so memorable to me. Such as your 40th and 50th birthday, the NASCAR adventures, the beach and just wanted to get together times. I love you to the moon and back! Gonna miss you so much, see you in heaven my friend! My thoughts and prayers for all. Kim came into our lives because her beautiful daughter Bethany married our son Mike.God brings people in our lives for a reason and now I know why. She was a wonderful mother, an awesome grandmother and a friend. We will miss her. Linda, so sorry to hear hope your doing well. I am so sorry for your loss. My prayers and thoughts are with the family. I’m truly shocked to hear of Kim’s passing. We were bowling friends. So sad! So sorry for your loss. My thoughts and prayers are with your family. Jim: We offer you our condolences at this time of Kimberly’s sudden passing. May God bless you and your family at this time. Our deepest sympathy to Steve, Mary Jane and the entire family. So sorry for your loss, prayers sent to all of you. I was devastated to hear this news upon returning from out of town last evening. I am so sorry for your loss. I am sending each of you big hugs along with many prayers during such a difficult time. I know how much Kim’s family meant to her….you were all her world. Keeping you all in thought and prayer, heaven gained an amazing angel.